Local Locksmiths will install window locks and install door locks. We also supply quality hardware including window locks and door locks of all types and sizes. Our full installation service is Auckland-wide so you know your new items have been fitted correctly. Keeping your property secure is important to protect not only yourself and your family but also your possessions or business assets. Opportunist criminals are often put off by a home that has extra security measures, so spending a little on your security can make a big difference. You don’t need to make your home a fortress, but some simple changes can make your home or business a safer place. If you are looking to improve your security, talk to Local Locksmiths today to arrange a quote. Local Locksmiths supplies a range of window locks to suit all kinds of windows. Locks can be with or without keys depending on your needs and can be retrofitted to existing windows. We can also supply and fit window stays. These are fitted between the opening part of the window and the frame and prevent the window from being opened too far. They can help improve your security by preventing windows from being opened far enough for someone to climb through. They can also help stop children from accidentally climbing out of a window. 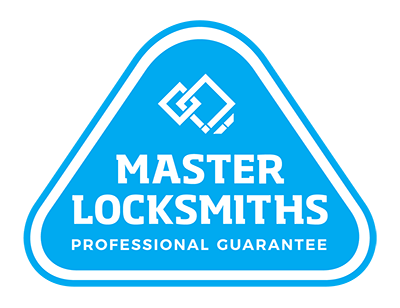 Local Locksmiths supply a range of locks for different types of doors around your home. This includes locks for front doors, sliding patio door, cavity slider doors and security screen doors. Our team can fit locks for you and can even custom make parts to match a particular style of door. For businesses, we can supply a range of door security options including standard door locks, keyless entry and restricted access systems to allow staff to come and go easily but prevent unwanted visitors. Window locks and door locks provide good security for your home or business, but if you want to add to your safety system, Local Locksmiths also supplies a range of hardware including smoke alarms, wireless alarms and safes. Our experienced team can install everything for you. We can even help if you’ve brought locks or window stays elsewhere and realised you don’t have the DIY skills to install them yourself. Local Locksmiths runs a mobile service and our vans are on the road Auckland-wide, so give us a call to arrange a quote or book a job. From door locks to window hardware, sliding mechanisms and window security, door handles, knobs etc we stock it all. Explore our complete range below to find the solutions that better protect your home. Windows and doors and more – we have you covered! Call us on (09) 536 5050 or 0508 LOCKSMITH (0508 562576).